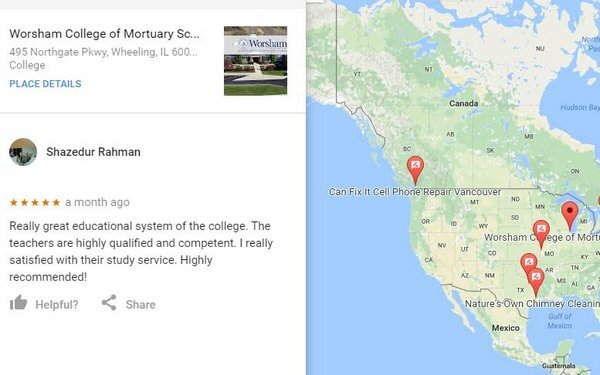 Google's focus on cleaning up spam and falsehoods across the Internet sparked a series of blog posts in which long-time search expert Mike Blumenthal suggests researchers at the Mountain View, California company misled the public with research that seems to show a low level of fake listings across Google Maps. Blumenthal, the author of the blog "Understanding Google My Business & Local Search," has been following the problem of fake information for more than nine years. He says Google is not doing enough to clean up the spam and fake reviews in Google Maps, which has become an important utility for businesses and consumers, and that the company needs to stop publishing "weak research" that "misleads the public." Referring to the Google research released April 6, 2017, Blumenthal said a careful review of the findings demonstrates the conclusions were not warranted by the study. "Google typically does not speak to these issues but if and when they do, it should be accurate information and not deceptive or disingenuous," he told Search Marketing Daily, explaining that the problems in the research are the same ones that existed in 2007, 2008 and 2009 -- service industry spam, affiliate spam and fake reviews. In Blumenthal's latest example -- which details how false information on Google Maps has continued to increase in the past 10 years, rather than decline -- he outlines Philippines-based Shazedur Rahman's year-long international struggle through her published reviews. Rahman sits on top of one of the largest review spam networks that Blumenthal has seen, and because of its size, has been unable to find its end. "Worse, I have been unable to get it removed from Google," he wrote in a blog post. In the article -- titled "The Largest Review Spam Network Ever Or... Who is Shazedur Rahman and why should you care?," scheduled to publish Monday -- Blumenthal acknowledges that it is difficult to quantify the amount of fake reviews in Google Maps, but continues to build out an extensive spreadsheet of reviewers and the businesses in which they have commented on. "If I were to guess I would put the businesses in the many hundred or perhaps thousands and the fake reviews in the tens of thousands and maybe in the hundreds of thousands range," he wrote. One thing is for certain -- the fake reviewers have a pattern of writing reviews for overlapping businesses. And by looking at a spreadsheet that Blumenthal started, it's clear that Google's algorithms and human reviewers seem to miss the connection. For example, Charlz Alexon, Jen Mathieu, and Ginger Karime have all reviewed The Joint Chiropratic, Bedoy Brothers Lawn & Landscape, and Texas Car Mechanics. Google has banned reviewers who have left fake reviews in the past, but Blumenthal is calling on the company to penalize businesses that use them. "If their advanced verification is what it takes to solve the problem then stop testing it and start using it," Blumenthal said. "And use it beyond the plumbers and locksmiths. If lawyers consistently abuse the system then don’t exclude them just because they have white collars. Or whatever reasoning Google is using to enforce in one segment and not the other." 1 comment about "Google Accused Of Misrepresenting Fake Content Clean-Up". Dave Bowra from Campbell House, April 18, 2017 at 2:50 a.m.
Google has little interest in removing the fake reviews or the spam. Legitimate businesses have to use adwords to get good positions = more money for Google. Until another business threatens its monopoly position it will continue to ignore the spam, and will continue to list terrorist content ... The senior personnel have no moral compass - it is only about the money.